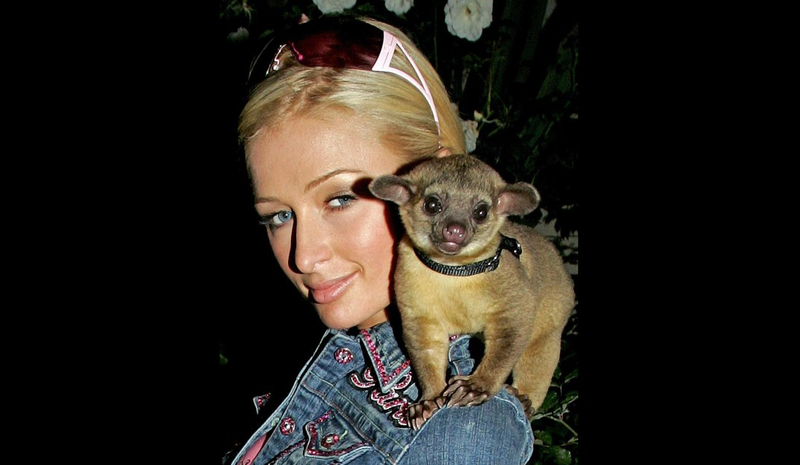 Heiress and reality star Paris Hilton owned a kinkajou for many years that she acquired in Las Vegas in 2005. A kinkajou is an animal that lives in the rain forests of Central and South America, is part of the same family as the raccoon, is nocturnal and only eats fruit. Due to being illegal to own in California, Paris was issued a warning by the California Department of Fish and Wildlife. Paris was bitten by the kinkajou several times, one that sent her to the emergency room, so unfortunately, she had to get rid of her kinkajou. Rapper Vanilla Ice owns a pet most people have never heard of: a wallaroo. A wallaroo is the cross between a wallaby and a kangaroo. While illegal in many U.S. states, it is legal to own a wallaroo in Vanilla Ice’s home state of Florida. Vanilla Ice’s wallaroo named Bucky Buckaroo is quite the escape artist. He and a pet goat named Pancho were able to escape from Vanilla Ice’s yard. They were out for over a week before being recaptured and held at the local animal shelter until Vanilla Ice could return home to claim them. He received a fine of over $200 for failing to properly contain his pets.